1. Why should you bother with Ecommerce analytics? Understanding your data will help you make smarter decisions across every function in the company. In this article, I’ll cover the techniques and tools for effective data collection and analysis for Ecommerce. 2. What should you measure ? There are two broad stages in a customer’s life cycle - Acquisition and Retention. Your goals and strategy should be aligned for the two stages separately. Goal: Get maximum conversions at the most cost effective prices. What sources/campaigns get traffic and conversions? You want to be able to see what's working and what's not. Double down on our wins and optimize campaigns that aren't doing well. What content/product is most effective at converting the visitor to a customer? Some content and products are great at converting a new customer. If the customer is in the consideration stage, you want to show how you are better than the alternatives. If the customer is too early in the buying stage, you want to show content that will help with 'Need Identification'. Keep a track of trending products and categories. Use tools like Google trends to forecast demand for products. What products result in most returns :( ? Tracking product returns is more important than tracking product sales. Some products have higher returns than others. These will cost you money and potential customers. You can minimize returns by understanding the underlying reason. Many times, returns can be minimized by giving necessary information/ warnings / disclaimers on product pages. What campaigns drive higher Customer Lifetime Value (CLV)? Not all conversions are alike. Some campaigns result in high quality conversions that pay off many times over in the long run. You should be able to measure not only revenue by campaigns but also Customer Lifetime Value (CLV) by campaigns. This way you can decide if it is worth paying extra dollars for certain campaigns. How effective are my emails? Email remains one of the best retention tools. There is a lot of competition in the customer’s inbox so you have to master the art of sending relevant and timely email. Tools like Mailchimp, Hubspot and Sendgrid offer built-in analytics to measure the effectiveness of your email. You can track everything from clicks, opens, unsubscribes and conversions. Some businesses I work with have aced email and generate 15-25% of their revenues from email. They use a Lifecycle Marketing Strategy to personalize emails based on customer stage. 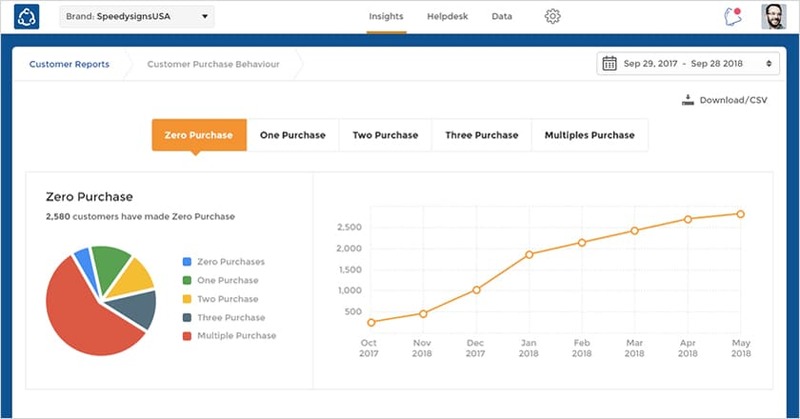 Tools like Richpanel and Adobe Marketing Cloud allow you to create segments based on user behavior and attributes. For example, you may want to create segments like “One time coupon shoppers” and “VIP shoppers”. And then personalize emails for each segment. What's the difference between a loyal customer and a customer who purchased only once? The loyal customer experienced something that made her buy from you again and again. Maybe, she really liked your customer service, maybe she downloaded your app and finds it convenient to reorder, maybe you did a great job of sending product recommendations. Your analytics should be able to tell you what's working so you can replicate that success. How is my customer support impacting customer loyalty? I can’t emphasize how important customer support is in the long run. You may be losing a couple of high value customers every week because of bad customer service. And this adds up to big dollars in just a few months. Understand this - customers with high income care more about service than coupon codes and discounts. They value their time and if you can show that you respect their time, they will be a loyal, highly profitable group. Customer support is also the area where you can differentiate. People are competing for your customers. There is too much marketing noise. Customer Support is your opportunity to shine and be memorable. Invest in a good customer support tool that is tightly integrated with Ecommerce. Invest in good quality staff. Measure things like wait times, NPS, resolution times. No matter how busy you are, you should invest 1-2 hours and take customer support calls every week. You’ll be amazed at the insights your customers throw at you. 3. What tools to use?? There is no shortage of Analytics tools in the market. Below are the list of some must have tools in your arsenal. Track how you fare in SEO. See suggestions from Google on how to improve page rank. See mobile usability, crawl errors and submit sitemaps. This is ground zero for all SEO initiatives. Once you get that right, you can consider using tools like Moz and Ahrefs to analyze backlink profiles for your site and competition. Get keyword suggestions and track ranking by keywords. This is great tool for folks in your online marketing team responsible for SEO. If you outsource your digital marketing, be sure to check if your agency is utilizing these tools. This is a no brainer. 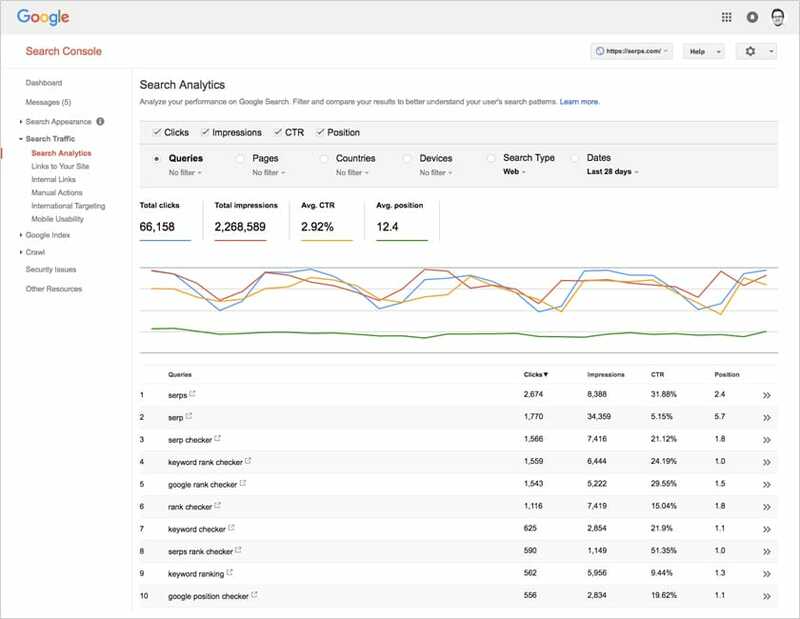 Used by more than 28 Million businesses worldwide, it is the most essential tool for any web analytics. You can use Google Tag Manager with Google Analytics to track granular events like 'Add to Cart', 'Form fills' or any other custom events. To really leverage the full potential of GA, you need to enable Ecommerce tracking and Link to your Adwords account. If you haven't done so already, follow the below links to get setup. GA is an excellent tool for looking at aggregates. But sometimes, you need to see it from your visitor’s eyes. These tools help you replay sessions as if you were watching your visitors over their shoulders. They capture everything from mouse movements to taps to scrolls. It’s extremely helpful in the initial stages when you are just launching a new design or new content. Richpanel is great tool for customer analytics. It has pre-built extensions for major cart platforms and can track Orders, Returns, Customer Lifetime Value (CLV), Likelihood to Churn, Website Visits and even Conversations. It will stitch all this information to a customer’s profile so you can visualize the entire customer journey. Store owners can also segment customers on the basis of attributes and their behaviors. And use these segments for personalizing emails or website experience. Learn more here - Richpanel Customer Analytics. Use Facebook Page insights to learn about your audience and their interests. See what other pages your audience likes. Check out these FB pages and see what kind of posts drives engagement. Use these insights to drive engagement on your FB posts. FB business manager is an excellent tool to track your FB ad performance. A/B test all ad copy and audiences and test your relevance score before increasing your budgets. Do this for each campaign. You should aim for a relevance score of 7. You can narrow your audience further to earn a higher score but you will limit your audience. Keep a track of frequency which is the number of times your ad is shown to one FB user. As the frequency increases, your relevance scores will drop. This is a good indication that you should now refresh your ad copy and content for the select audience. 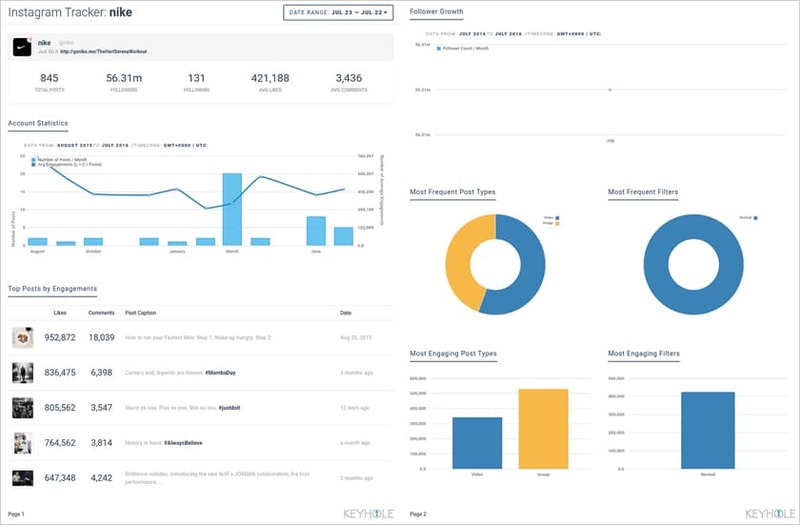 You can use tools like Hootsuite, Buffer and Simply360 to see analytics around impressions and engagement with your tweets. FollowerWonk is a great tool to find influencers in your niche and engage with the ones with most followers. 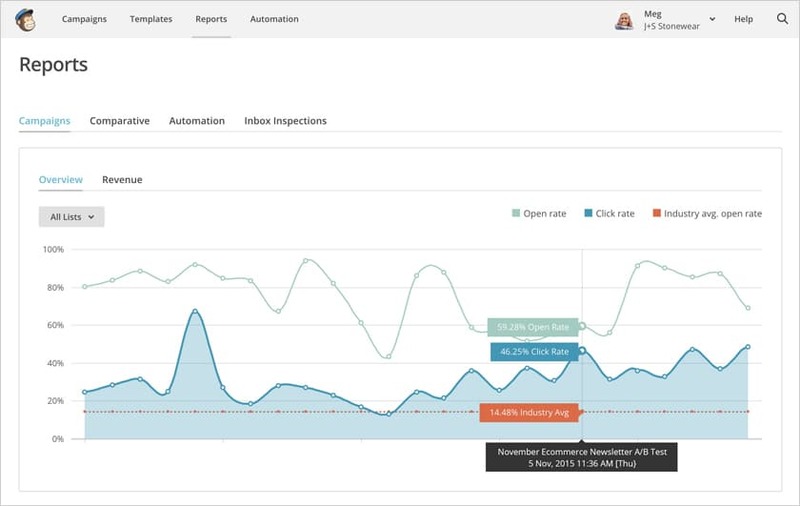 All email tools like Mailchimp, Sendgrid come with analytics modules for you to track opens, clicks, subscribes, etc. More and more emails are now personalized as oppose to the blasting newsletters to your entire contact list. 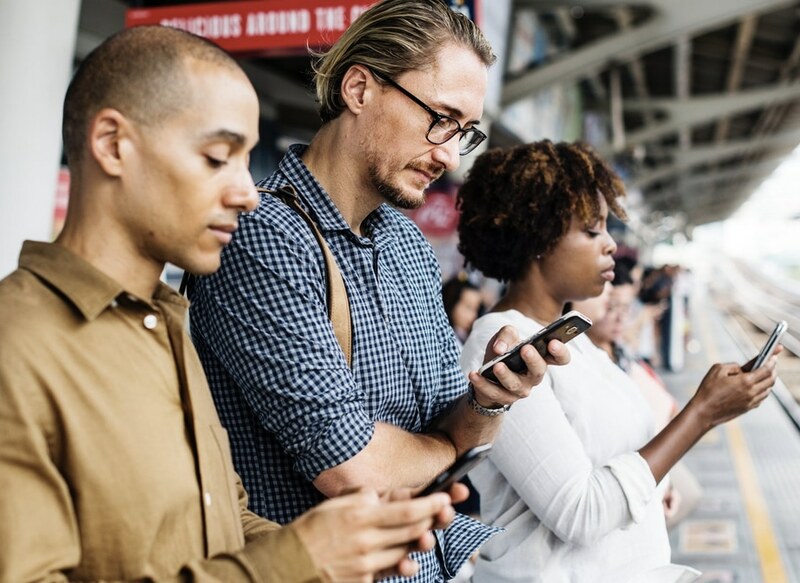 It's now vital to keep track of content your users are engaging with and sending them personalized content based on their engagement history. This can be done by integrating your email tool with your Ecommerce apps and giving the email sending tool as much content as possible. Just like email, your customer support tool will provide you with analytics around your customer support. The key metrics to track here are resolution times, time between responses and customer feedback. Businesses are leveraging bots to reduce the number of representatives required to solve the queries. Bots are a great tool to solve straight forward queries. If your bots are configured and trained correctly, this can be a major boost in efficiency and resolution times. Having the right analytics stack will empower you and your team to make right decisions at each step of the way. I hope this article gets you excited about data-driven decision making and helps you in selecting the right tools. If you feel there is anything that I missed, let me know in the comments section and I’ll include it. The Ecommerce space is constantly changing as new tools, marketing tactics and services gain popularity. In order to thrive in Ecommerce, you need to make better decisions than your competitors. This is where your analytics can be a competitive advantage. Really helpful information stated in this article! I must say one of the ecommerce with high competition when it comes to product selling is Amazon. Good to know this tips!